Canadian violinist Iryna Krechkovsky is a prize-winning violinist with an international career in solo, chamber, and orchestral performances. Celebrated for her tone, emotionality, and precision, she has performed in concert venues from Stern Auditorium at Carnegie Hall and Alice Tully Hall in New York City, to The American Church in Paris, and Roy Thomson Hall in Toronto, and was featured on National Public Radio, KABC-TV Los Angeles, the Public Broadcasting Service, and most recently, as a speaker/performer at TEDxChapmanU. She was a top prize winner at the Sorantin International Competition, the Canadian Music Competition, the Kocian International Violin Competition in Czech Republic, the Beverly Hills Auditions, and the Canada Council for the Arts Musical Instrument Bank Competition which afforded her a three-year loan of the 1689 “Baumgartner” Stradivari violin. She has performed as soloist with the Lviv National Symphony Orchestra of Ukraine, the Toronto Sinfonietta, the Seoul National University Virtuosi, the California Chamber Orchestra, the Warren Philharmonic Orchestra, and the Canadian Academy Chamber Orchestra, and appears alongside principals from the Orpheus Chamber Orchestra, Metropolitan Opera Orchestra, and Orchestra of St. Luke’s in performances with the New York Women’s Philharmonic. As a distinguished chamber artist, she has performed at the Montreal Chamber Music Festival, the San Angelo Piano Festival, Ottawa Chamberfest, Artosphere, the Stony Brook Faculty Recital Series, and The Banff Centre, with artists including Denis Brott, Colin Carr, Paul Coletti, David Finckel, Gil Kalish, Alan Kay, Kyung Sun Lee, and Julian Martin. Krechkovsky has performed hundreds of recitals throughout North America, Europe, and Asia with her husband, pianist Kevin Kwan Loucks, as part of the award-winning Krechkovsky/Loucks Duo. In 2012, the Duo formed Trio Céleste with cellist Ross Gasworth and are currently Ensemble-in-Residence at the Claire Trevor School of the Arts at the University of California, Irvine where they also direct the annual Summer Chamber Music Festival. Iryna Krechkovsky is also Co-Founder and Director of the Young Artist Program of Chamber Music | OC, one of the most dynamic classical music projects in the country dedicated to advancing the art of chamber music through performance, education, and community outreach. 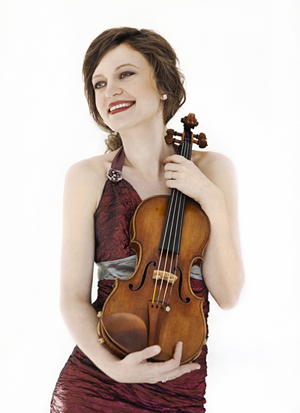 Born in Ukraine, Iryna Krechkovsky holds a Doctor of Musical Arts degree from Stony Brook University in New York and earned her Bachelor and Master of Music degrees from the Cleveland Institute of Music where she was awarded the Dr. Jerome Gross Prize in Violin. Her mentors include David and Linda Cerone, Philip Setzer, Philippe Graffin, Pamela Frank, and Henk Guittart. Krechkovsky performs on a 2007 violin by Ryan Soltis and Samuel Zygmuntowicz. Cellist Ross Gasworth’s playing has been praised as “gorgeous” (Waco Tribune-Harold) and “warm and generous” (Orange County Register), having concertized and taught throughout the United States, as well as in Asia and Europe. He has performed chamber music alongside principal players from the Vienna Philharmonic, Berlin Philharmonic, Chicago Symphony, San Diego Symphony, and Orpheus Chamber Orchestra. Ross was selected by Michael Tilson-Thomas to perform as Principal Cellist of the YouTube Symphony Orchestra at the Sydney Opera House in Sydney, Australia, and at Google’s annual Zeitgeist festival in London, England. Ross has performed as a soloist with the Rochester Symphony, Birmingham-Bloomfield Symphony, Michigan Youth Arts Festival Orchestra, Detroit Symphony Civic Orchestra, and the UCI Symphony. As an orchestral musician, Ross has performed with the San Diego Symphony, Houston Symphony, Fort Worth Symphony, New World Symphony, Artosphere Festival Orchestra, and as principal cellist with the Waco Symphony and Miami Symphony. Major festival appearances include the Kneisel Hall Chamber Music Festival, Aspen Music Festival, and Pacific Music Festival. Ross has played in studio recording sessions for major motion pictures at Sony Picture Studios, FOX Studios, and Warner Brothers Studios. A committed educator, Ross has been a teaching assistant at the University of North Texas, University of Illinois, and Cleveland Institute of Music. As one of the directors of Chamber Music | OC, Ross teaches Dalcroze Eurhythmics in the Chamber Music | OC Young Artist Program workshops. Additionally, he has taught at the Kneisel Hall Young Musician’s Program, the Idyllwild Arts Academy, and the Dallas Symphony Orchestra Young Strings Program. Ross co-founded and co-directs the Chamber Music Camp at the Adler Music Center in Libertyville, IL. He is currently a member of the Chamber Music faculty at the Orange County School of the Arts (OCSA). Since 2012, Ross has been a member of the award-winning Trio Céleste, Ensemble-in-Residence at the Claire Trevor school of the Arts at the University of California, Irvine, where the Trio directs the Summer Chamber Music Festival as well. Trio Céleste is also the permanent Ensemble-in-Residence at Chamber Music | OC. Ross began playing the cello at age three. He earned his Bachelor and Master of Music degrees from the Cleveland Institute of Music, where he studied with Richard Aaron and Stephen Geber. Other past teachers include Eugene Osadchy at the University of North Texas, and Michel Strauss at the Paris Conservatoire. Ross performs on a 2005 cello by William Whedbee. Pianist Kevin Kwan Loucks enjoys a multifaceted career as international concert artist, educator, and arts entrepreneur. He has been described as “impeccable” (La Presse, Montreal), “a shining talent” (Völser Zeitung, Italy), “a pianist of exhilarating polish, unity and engagement” (The Orange County Register, California), and in 2015, was named one of Orange County, California’s most influential people by OC Weekly. He has earned ovations from Weill Recital Hall at Carnegie Hall, to Prösels Castle in Italy, the Kennedy Center, Kumho Art Hall in South Korea, Lincoln Center’s Alice Tully Hall, and Lichtenstein Palace in Prague, and has performed on National Public Radio, CBC Radio 2, Classical KUSC, the Public Broadcasting Service, KABC-TV Los Angeles, and the Korean Broadcasting System. He was a top prize winner at the Schlern International Competition in Italy, the International Chamber Music Ensemble Competition in Boston, the Beverly Hills Auditions in Los Angeles, and received the American Prize in Piano Performance in 2012. As a collaborative artist, Kevin Kwan Loucks has appeared in recitals with Rachel Barton Pine, Denis Brott, Colin Carr, Paul Coletti, Robert deMaine, Eugene Drucker, Edgar Meyer, Lara St. John, Kyung Sun Lee, and Carol Wincenc. 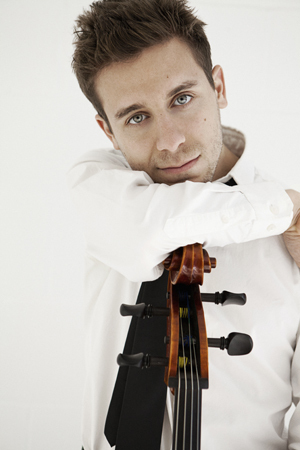 He has been featured in collaborations with the Afiara, Cecilia, and Jupiter String Quartets, and has performed and recorded as a member of Gruppo Montebello, an All‐Star Ensemble of acclaimed Banff Centre faculty and alumni based in Canada. Loucks has performed hundreds of recitals throughout North America, Europe, and Asia with his wife, violinist Iryna Krechkovsky, as part of the award-winning Krechkovsky/Loucks Duo. In 2012, the Duo launched Chamber Music | OC — one of the most dynamic classical music projects in the country dedicated to advancing the art of chamber music through performance, education, and community outreach. In that same year they formed Trio Céleste with cellist Ross Gasworth and are currently Ensemble-in-Residence at the Claire Trevor School of the Arts at the University of California, Irvine where they also direct the annual Summer Chamber Music Festival. 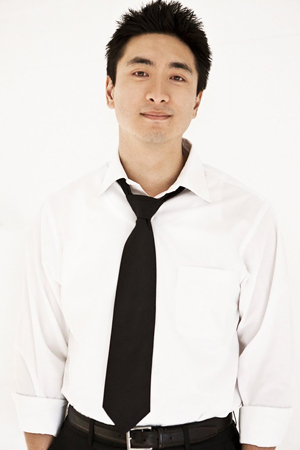 A Korean-American adoptee and graduate of The Juilliard School in New York City, Kevin Kwan Loucks was mentored by Julian Martin, Henk Guittart, David Finckel, Wu Han, and Nina Scolnik. He is an alumnus of programs at the Aspen Music Festival, Music at Menlo, and The Banff Centre, and holds a Doctor of Musical Arts degree from Stony Brook University where he served as Head of Piano for the Pre-College Division and Teaching Assistant for the Emerson String Quartet. He recently concluded a two-year position as Artistic Director of the International Arts Mentoring Program in South Korea, a program sponsored by the Education and Culture Association bringing music and arts education to underprivileged children throughout Asia. Loucks is an Executive Master of Business Administration candidate at the Argyros School of Business and Economics at Chapman University.